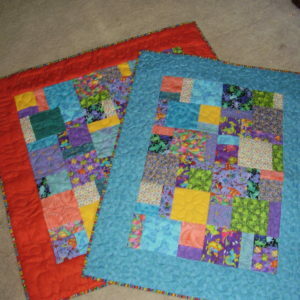 A fun quilt to make from your bag of scraps using 4 main colour groups, or buy a co-ordinate range to suit your décor. 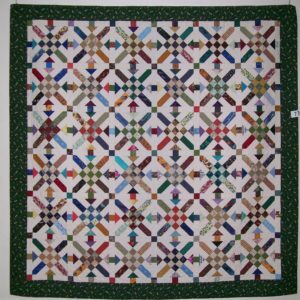 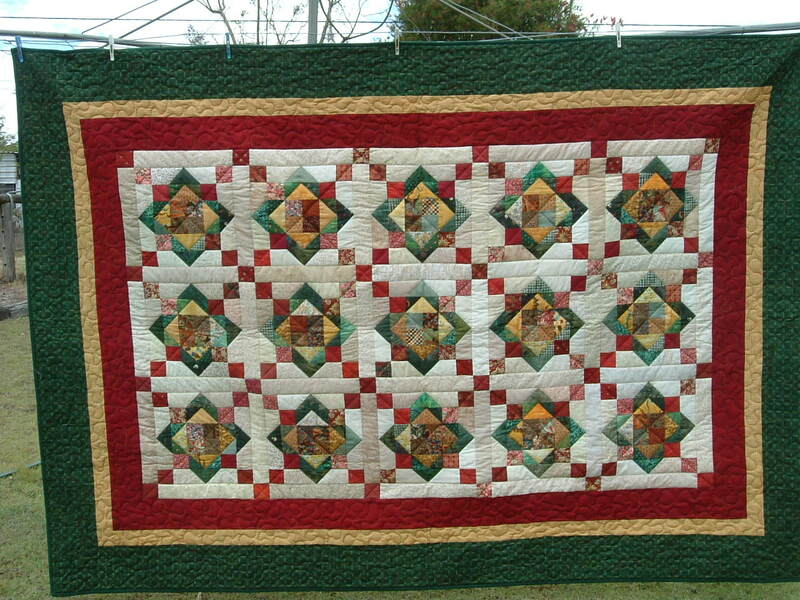 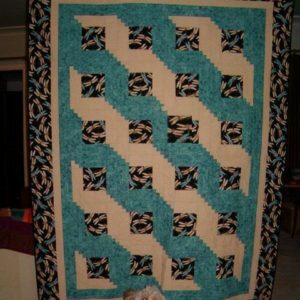 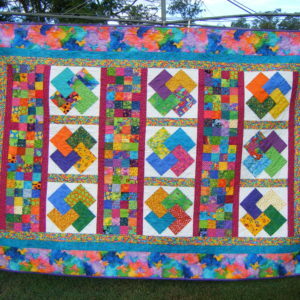 This quilt uses rotary cutting and machine piecing to make a lap size quilt based on the traditional “Aunt Sukey’s Choice” block. 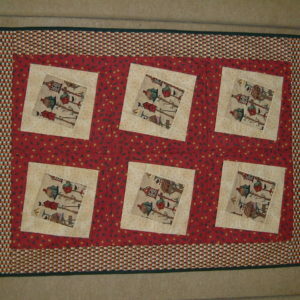 If you prefer a smaller project perhaps think of a table runner for Xmas. 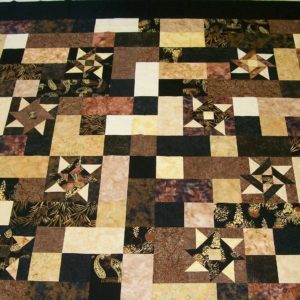 The requirements will be based on a range of fabrics using fat quarters, and the pre-cutting amounts will assist if making a scrap version of the quilt.